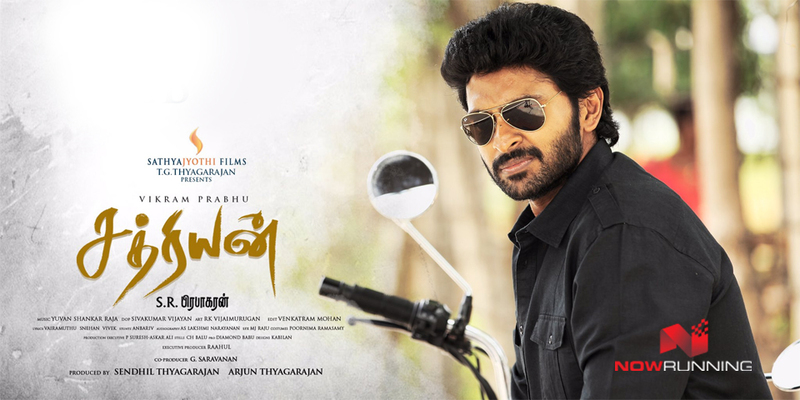 Sathriyan is a Tamil movie starring Vikram Prabhu and Manjima Mohan in prominent roles. The cast also includes Aishwarya Dutta and Kavin Raj. It is a drama movie directed by SR Prabhakaran, with Venkatram Mohan as the editor, Sivakumar Vijayan as the cinematographer and Yuvan Shankar Raja as the music director, forming part of the crew.